The department trains Physical Education and sports personnel who serve in Secondary Schools, Teachers Training Colleges and Kenyan private and public Universities as Teachers, Tutors, Lecturers, Professors and Games tutors. The department’s goal is to sustain Physical Education as an academic and professional discipline through the training of competent personnel equipped with relevant knowledge and skills in teaching and research. Our main accomplishments include the inculcation of a solid theoretical and practical knowledge in Physical Education amongst the trainees at post-graduate level as a grand effort towards the promotion of P.E as an academic pursuit, a means to good health and as a profession within educational institutions in particular and entire society in general. The department is in the School of Applied Human Sciences. For a long time the department has been the only one offering degree programs to secondary school physical education teachers. Over the years, the Physical Education Programme has experienced tremendous expansion in terms of degree programs and student enrolment. Our vision is to sustain Physical Education as an academic and professional discipline through the training of competent personnel equipped with relevant knowledge and skills in teaching and research. The department has highly qualified academic staff with varied professional training backgrounds who include Professors, Senior Lecturers, Lecturers, Assistant Lecturers and Tutorial Fellows in Physical and Health Education. The academic staff has so far established very strong academic collaborations/linkages with numerous Universities in different parts of the world. The department collaborates with local and international institutions and organizations in the areas of teaching, curriculum development, research, staff, student exchanges and community service. The Department is in the School of Applied Human Sciences. For a long time the department has been the only one offering degree programmes to secondary school physical education teachers.Over the years, the Physical Education Programme has experienced tremendous expansion in terms of degree programmes and student enrolment. To sustain Physical Education as an academic and professional discipline through the training of competent personnel equipped with relevant knowledge and skills in teaching and research. To inculcate a solid theoretical and practical knowledge in Physical Education amongst the trainees at post graduate level as a grand effort towards the promotion of P.E. as an academic pursuit, a means to good health and as a profession within educational institutions in particular and entire society in general. Doctor of Philosophy tuition scholarship award for Mr. Sylvester Hayker funded by the International Development and Research Centre (IDRC). Market Survey for needs assessment for Post graduate Diploma and Diploma Courses in schools, colleges, fitness centers, clubs and other sporting organizations. Dr. Goodwin has been appointed as the chairperson of the department. The department collaborates with local and international institutions and organizations in the areas of teaching, curriculum development, research, staff, student exchanges and community service. The academic staff has so far established very strong academic collaborations/linkages with numerous Universities, institutions and organizations in different parts of the world. These include University of Manitoba and University of Ottawa (in Canada),West Virginia University (USA), Volda University, University of Bergen (in Norway), University of Helsinki, Haaga-Helia University Vierumaki (Finland), Tshwane University of Technology and University of Pretoria, University of Stellenbosch, University of Cape Town and University of Johannesburg (in South Africa), Makerere University and Kyambogo University (in Uganda), University of Dar-essalaam (in Tanzania) and many others in UK, USA and Germany. The existing linkage with Volda University has continued to enable the best two of our undergraduate students to proceed to Norway (in the same University) on annual basis to complete their undergraduate courses there. The department also collaborates with the Kenya Medical Research Institute and other institutions in Kenya as well as and other international organizations that include IAAF and FIFA. Prof. Dirk Lund Christensen, University of Copenhagen, Denmark. The department also engages several other external examiners to examine postgraduate Theses. 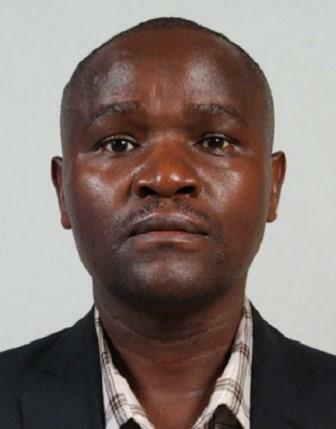 Dr. Francis Mwangi Mundia and colleagues - Assessment of Foot Structure and Function in Relation to Selected Health and Performance Related Fitness Attributes among Children and Young Adults: A Comparative Study between Kenya and Japan. 2018 - 2020. Prof. Vincent Onywera and colleagues - Building higher education and research capacity to address the physical activity and nutrition transition in Kenya: the Kenya-Finland education and research alliance (KENFIN-EDURA), 2017-2020. Dr. Lucy-Joy Wachira and Dr Helen Muthomi - Outdoor Adventure Practice in the Afro-Alpine Mountain Areas in East Africa: Training, Certification, Competence and Standards in Injury Occurrence and Pre-Hospital Emergency Risk Management, 2016 – 2019. 2. National Bank account no: 01003059150800 cash deposit slip. 3. Duly completed and signed check-off form (staff Only). 2. Duly completed Physical Activity Readiness Questionnaire (PAR-Q) form.